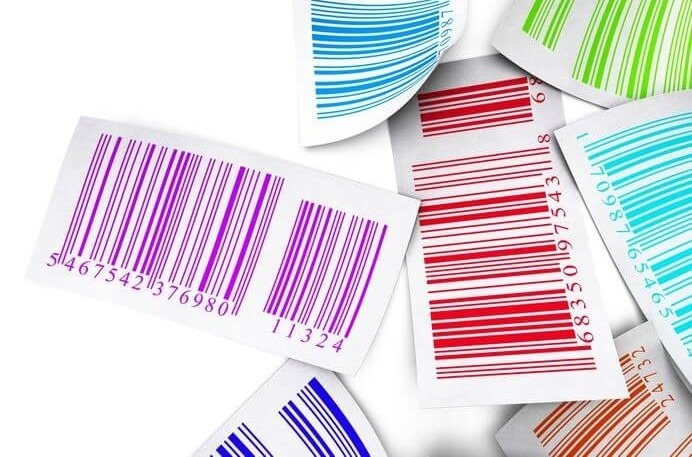 Universal Product Codes (UPCs) are something you’ve definitely come across in eCommerce. These codes are an essential part of the shopping experience. While they may not seem like much, retailers across the world rely on them to keep their inventory organized. Here’s why eCommerce sellers will want to know how to convert a large amount of UPC codes to EAN and ASIN numbers. These codes are everywhere. Most products are assigned one, making them a great way to identify products. If you want to master product sourcing, you’re going to need to learn how to use them properly. That means finding and converting them to whatever format you need. But before we dive deep into the specifics, let’s start with the basics. Type A contains 11 digits and one check digit. The first five digits are the manufacturer’s code, while the next five are used to identify the product itself. The check digit is assigned by barcode printing software. Type E uses six digits and one check digit. This format is commonly used for small retail items. Like Type A UPCs, the check digit is usually assigned by barcode printing software. UPC-E is often referred to as a suppressed version of UPC-A. Most codes can be converted between the two formats. EANs, International Article Numbers, (originally European Article Numbers) are used throughout Europe. These 13-digit codes contain a designated country code. Amazon does things a little differently. They’ve created their own identifier code. It’s known as the Amazon Standard Identification Number (ASIN). However, this code is alphanumeric and uses ten characters. EAN, ASIN, and UPC – What’s Better? The answer to this question depends on the platform you are selling on. When sourcing products, you’ll appreciate having a tool to help you with UPC number lookups. This will be very helpful in scenarios such as the following. You may stumble upon an interesting product that is selling well in Europe and you are considering selling that product in the U.S. You can try and look it up using a UPC database, but that’s a lot of work. Since you already have the product’s EAN number, all you need to do is use a UPC code lookup tool, like Algopix, to convert the product’s EAN into a UPC. That’s the easiest way to guarantee you are getting an accurate conversion. It can also be used to convert between UPC, EAN, and ASIN. If you’re sourcing hundreds, even thousands of products, you don’t have time to look up each identifier code one at a time. You want a tool that can convert batches of UPCs to EANs, or ASINs at once. For example, you receive a price list of items from a vendor and you want to see how they are selling in various Amazon marketplaces before you decide to buy. Well, that price list could contain hundreds of items. Do you really want to convert them one at a time. Tools that can let you upload a bulk list of identifiers, whether in Excel or CSV format, will save you a great deal of time. Since you are already on a mission to convert your product identifiers, and since different eCommerce platforms use different product identifiers, doesn’t it really make sense to convert the identifier you have to all of the different relevant formats at once? This way you’ll avoid going through that exercise again if you want to check those items on a different eCommerce channel? And wouldn’t it be even better if you could get a whole lot more information about how a product performs on each channel with the same click? Wouldn’t you want to know the selling price, the amount of customer demand, the marketplace, taxes and shipping fee, and your expected profit. A comprehensive product research platform like Algopix can give you all this information about a product sales history on Amazon, eBay, and Walmart with just a UPC code and cost estimate. Don’t let UPCs slow you down during product sourcing. It’s not easy finding the best products to sell. There are a lot of products out there. If you want to become better at product sourcing, you’ll need to use the right tools to speed up the job.